Most people buy their Chinese goods from American retailers. But what they don't realize is that they can go right to the source. A booming Chinese ecommerce sector exists on the internet- in English! It is there to connect Chinese manufacturers with their prime consumers and offer unbeatable prices. The prices are almost always much cheaper than a Western retailer. This is one of the main benefits of buying online. You may not recognize some of the brands you see online. This is because many of these products are un-branded or are products from Chinese brands. When shopping on these sites, you're likely to find a range of top Chinese brands, especially when searching for fashion and electronics. To encourage purchases, some of the largest sites provide free shipping. In order to make free shipping feasible, some companies have established warehouses for the products in the United States and Europe. When there is a local warehouse, the buying experience is almost always better. This alleviates dealing with expensive shipping, customs and long wait times. Every online shopping site offers different shipping and return policies. Customers need to do plenty of research before they make big purchases from these sites to avoid any major headaches. 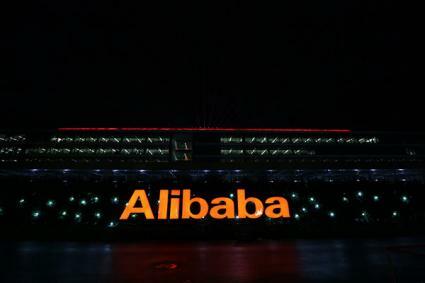 Alibaba is the Chinese online shopping behemoth. It is the largest online retailers in China. In fact, it is not just the largest online retailer in China, it sells more products than eBay and Amazon combined. On Alibaba, you can order machinery and industrial tools, health and beauty supplies, electronic equipment, apparel and textiles, gifts and many other things. Alibaba offers a good service for those who are buying wholesale because that is what it is designed for. Its sheer size makes it a great destination because it offers access to millions of merchants and businesses and also boasts hundreds of millions of buyers. Retail customers are welcome to make purchases from the site. Alibaba suggests that personal shoppers check the wholesale site for products that have a low minimum order quantity (MOQ). Shipping and returns will usually depend on the purchase type. However, Alibaba has a quality and trade control system in place that makes it both trustworthy and efficient. Because of its sheer size, there are ways to wind up as the victim of a scam. Some say that if buyers do their homework, they can have a good experience on the site. However, some reviews have been posted by people who have had a less than great experience dealing with the site. CNDirect is primarily an online clothing website. It also sells electronics and housewares and the discounts are steep on this site. This site offers free, fast delivery because it ships directly through a US warehouse. This alleviates having to deal with customs, which otherwise tends to complicate purchases from China. Items are accepted for return within 15 days after delivery. However, the returns process is complicated. Customers have to consult customer service and include several photos of the package and the labels in order to return the items. Most of the reviews regarding CNDirect note that people enjoy the steep discounts and find that the products are of a good quality. However, shipping and returns can go wrong and some people find dealing with the customer service to be difficult. AliExpress focuses on selling fashion items for men and women. But like most Chinese shopping sites, it also sells a plethora of items that include accessories, toys and consumer electronics. The site claims to offer 100 million products for sale but most of these are Chinese-branded clothing. Discounts on clothing are usually between 30% and 50% off the retail price. AliExpress offers buyer protection which allows customers to a claim a full refund if their order does not reach them within the timeframe promised by the seller. All products are also allowed to be returned as long as the product is still new in the box. Customers lament that there is potential for AliExpress but similarly to Alibaba, customers report that it can be hard to tell the difference between the reputable sellers and the scammers. Light in the Box specializes in fashion but also offers many different types of products include electronics. Light in the Box advertises Chinese premium brands. These premium products mostly fall under the shoes and bags category. Discounts can be up to 80% off retail prices, and Light in the Box also offers rewards and credit programs. According to its home page, Light in the Box has warehouses in Europe and the United States. It also suggests that customers there can return their products to the local warehouse. Returns are also accepted within 30 days of receipt. To return an item, customers must follow a six step process. First, a customer must submit a return request. After the customer service team reviews the request and sends back the product return form, the buyer puts the completed form and the product in the box and sends it to the relevant warehouse. Customer service will then let the buyer know the details about the appropriate refund or replacement. Light in the Box customers often report that they enjoy the discounts available from the website; however, they feel customer service was lacking. Others wish there was more transparency from the website about the differences like clothing sizes between Chinese and Western products. Tiny Deal is an online shopping site that offers consumers a wide variety of products at discount prices. Much of their warehouse is devoted to technology items and accessories. The discounts can range from 5% to 90% off the normal retail price. Customers can return any product that they are not happy with or that is broken when it arrives back to Tiny Deal within 5 days after it is delivered. Defective items can be returned within 180 days from the day it was shipped. Defective items are either repaired, replaced or partly refunded. Reviews of the site suggest that when things go well, the product is fine. However, when things go badly with purchasing from Tiny Deal, customers find the lack of support unhelpful. Buying online from Chinese shopping sites can be a great way to get common products at huge discounts. But before you buy, make sure you research the company's shipping and returns policies. If you familiarize yourself with new Chinese products and Chinese retailers, you could find that you are buying high quality products at low prices in no time at all.